It's a perfect place for relaxation w/ a truly resort-style ambiance & "the single best view at Azzurra"! 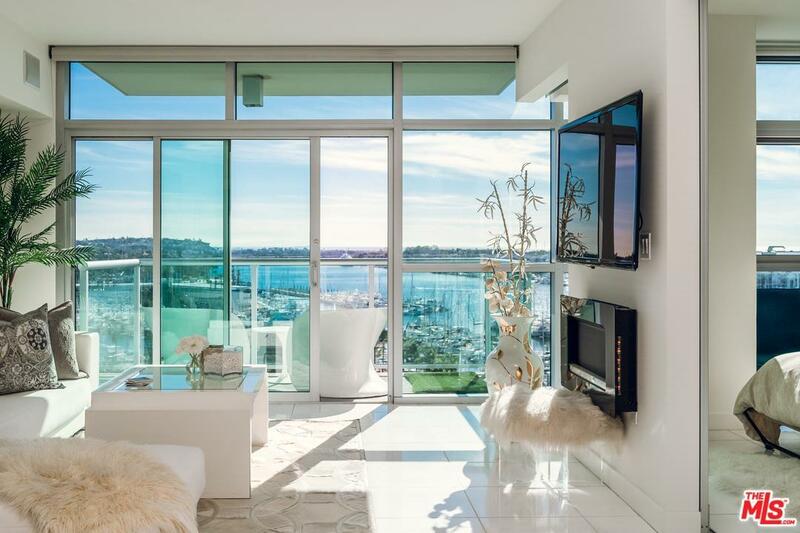 Private direct Ocean and Marina views which offer abundant natural light throughout the unit! This stunning unit done by Award Winning designer Wendi Young, CA designer of the year, has many upgrades including custom paint, baseboards and Tassos marble flooring throughout most of the unit. The dining room has a Murano hand-blown glass chandelier and built in bar area with custom cabinetry. The spacious master bedroom has deluxe ultra-plush carpet, wall-to-wall mirror, and floor to ceiling windows; walk-in closet designed by California Closets. HOA fees include cable w/HD channels, Internet, water, trash & resort-style amenities: 24-hour valet parking for guests, 24-hour front desk & security, concierge, rooftop spa & sky-lounge, fitness center, & more.